Renault and Connected Energy are partnering to develop sustainable and efficient ways of using electric vehicle batteries at the end of their useable in-vehicle life in order to supply innovative and more affordable vehicle charging solutions. At the end of their useful in-vehicle life, Renault EV batteries still have considerable remaining capacity, which means that they can continue to give great service in other applications before they are ultimately recycled. And with rapidly increasing EV sales – 97,687 EVs were sold in Europe in 2015, up 48% on 2014 – so is the requirement in energy to charge them. 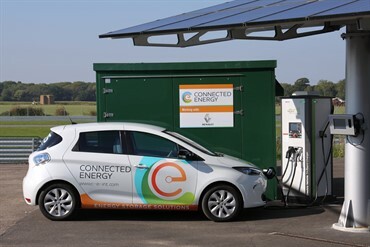 Through its award-winning E-STOR technology, Connected Energy is offering a highly innovative solution to this conundrum through use of ‘second life’ EV batteries. This can be used, for example, to store energy generated from on-site renewable generation resources such as solar panels and wind turbines, and then release it as it’s needed at a later time. The system also allows the batteries to be charged via low-cost off-peak electricity tariffs, enabling users to reduce their energy costs. 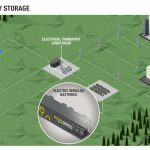 The batteries used are Renault EV batteries, chosen by Connected Energy because Renault, as EV market leader with 23,000 units sold in Europe in 2015, has expertise in the technology, its lifecycle and impact on the environment. The first E-STOR product is nominally rated at 50kW/50kWhr which could typically be used to support one rapid charger or a cluster of fast chargers but the system is fully scalable and higher capacity units will follow. 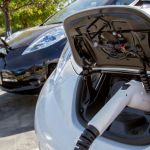 In practical terms, as well as allowing more efficient use of energy, the system can also enable installation of rapid electric vehicle charging in sites where electricity supply would traditionally only allow slower rates. Instead of charging vehicles via a high-capacity supply directly from the grid, E-STOR allows multiple batteries to be charged at a slower rate over a period of time, ready to release their energy and charge a car when an EV driver needs it. Renault offers two concrete solutions with its electric vehicles and their batteries through E-STOR. 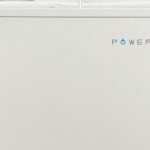 First to the grid, by providing energy storage that prevents power grid overload and balances supply and demand. Second to the environment, because batteries not fitted for automobile use, but that still have considerable remaining capacity, can have a longer life and lower carbon footprint before they are actually recycled. In June 2015, E-STOR was named winner of the innovation category in the prestigious British Renewable Energy Awards 2015, hosted by the Renewable Energy Association. 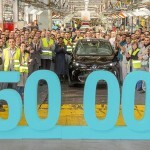 Renault is a leader and pioneer in the emerging electric vehicle market and has sold electric vehicles since 2011, offering a range of 100 per cent electric cars and vans to suit most requirements. The ZOE supermini sits alongside the fun and distinctive Twizy urban run-around which is also available in a commercial vehicle version with a boot instead of a rear passenger seat – Twizy Cargo. Completing the Renault Z.E (Zero Emissions) line-up is the Kangoo Van Z.E. – the perfect compact van for urban deliveries and tradesmen and is available in a range of bodystyles. 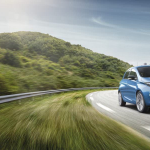 In 2015, Renault was the best performing EV brand in Europe, with sales rising 49 per cent to 23,086 units, with a 23.6 per cent European EV market share. It was a similar story in the UK, with ZOE sales up 102 per cent in 2015 to 2,053 vehicles – significantly outpacing the UK electric vehicle market, which was up 48 per cent on 2014.